Allawa, also spelt Alahuwa, is a small town at the railroad from Colombo to the Cultural Triangle and at the A6 mainroad from Ambepussa via Kurunegala and Dambulla to Trincomalee. 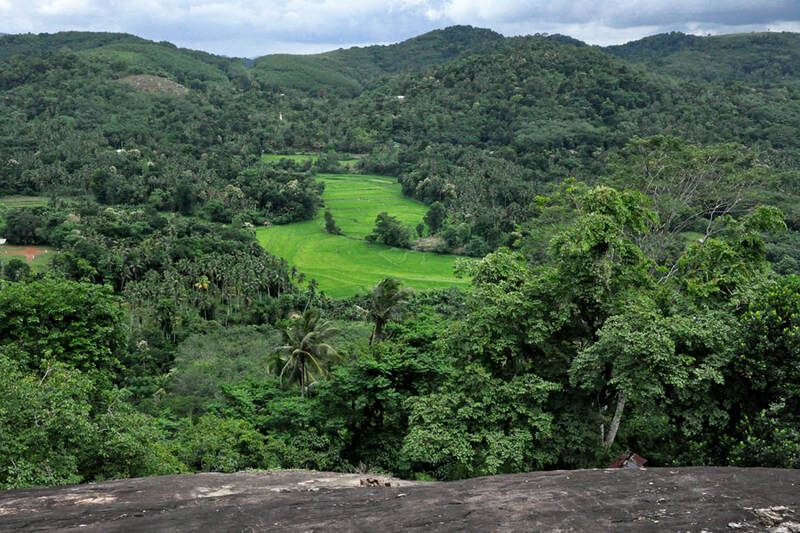 Alawwa is situated at the western foothills of Sri Lanka’s central highlands close to the confluence of Maha Oya and Kuda Oya, which translates to “Great River” and “Small River” respectively. 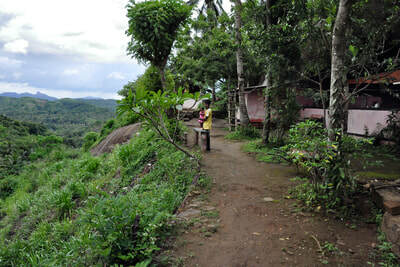 Alawwa is not a major tourist destination in Sri Lanka, as there are not many attractions for sightseeing tours. However, near Alawwa is one remarkable place that is typical of Sri Lanka’s culture, though rarely mentioned in pocket guides. 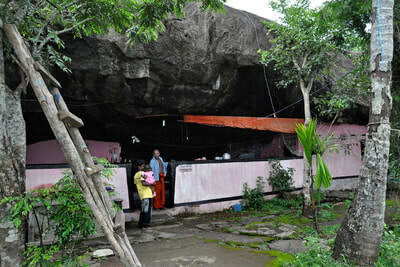 Near Alawwa is an original Buddhist forest hermitage, a cave inhabited by a single monk. Indeed there are many cave temples visited on round tours in Sri Lanka and also many forest monasteries which are meditation centres. But you will rarely meet hermits at those places that are either tourist destinations or inhabited or frequented by groups of monks. In contrast to most other cave temples on tour itineraries, the Buddhist cave of Alawwa is a genuine hermitage. It is situated on a hill on the eastern side of the two rivers. 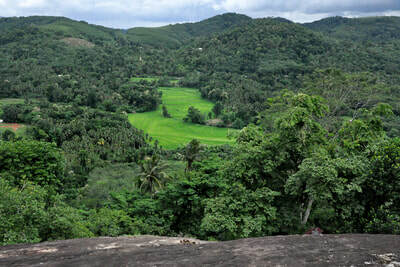 Large parts of the hill are forested, only near the summit are some bare rock surfaces with vistas to the green hills in the surroundings of Allawa. 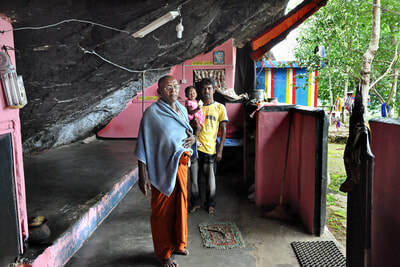 One natural rock shelter is inhabited by the monk. It’s a Buddhist cave like in ancient Sri Lanka. Thousands of such humble dwellings existed throughout the island in historical times. Many of them attracted visitors seeking advice and blessings of holy men living in such seclusive ways. When sooner or later such cave dwellings became pilgrim centres, the caves were embellished and transformed into image houses with Buddha statues. Nonetheless, some monastic caves are still inhabited. The monk living in the hills of Alawwa receives visitors regularly, most of them are locals bringing food as a meritorious donation. The monk does not speak English. But he is friendly to allow access and invite foreigners, too, without being greedy and pushing them to sign fake donation lists, as other monasteries in tourist areas do. To get an impression of this austere lifestyle of a forest-dwelling monk in an undisturbed area, the small hike only 1 km uphill is worth consideration, at least for those guests who travel from Pinnawela who proceed to Kurunegala or Dambulla.